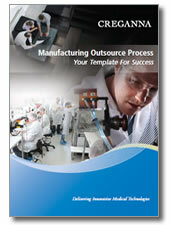 Download your copy of our step-by-step planner for manufacturing transfer projects. Developed by our Manufacturing Transition Team this template project planner details all of the necessary stages to achieve a successful product line or facility transfer with your contract manufacturing partner. 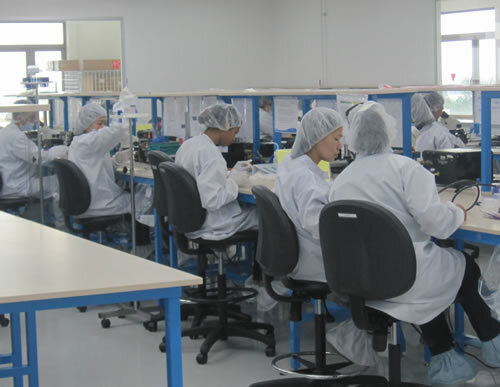 Creganna Medical has a proven track record in transferring customer’s existing steady-state device manufacturing into its facilities. Our dedicated Manufacturing Transition Team employ a structured and proven project approach to seamlessly transfer products from your facility or replicate manufacturing at your facility into our global network across the US, Europe or Asia. Customers have retained Creganna Medial for a range of manufacturing transfers from simple single product lines to complete facility transfers. Our transfer service has assisted companies to free-up resources for new or next generation devices at existing sites, execute on corporate strategies to outsource non-core products or achieve significant cost reductions while maintaining product quality and volumes. Closely aligning all stakeholders to achieve greater product efficiencies is the ultimate goal of each transfer project. The transfer process is an ideal window in which to achieve these efficiencies by undertaking DFM, process optimization, sustaining engineering, process automation, supply chain optimization and the application of lean manufacturing and continuous improvement methodologies. Facility transfer of numerous product lines across 10 medical customers. 54 product validations, 510k & PMA approvals, 17 person transfer team – transfer completed in 50 weeks. Transfer of 40 mature & non-core product lines from customer into Creganna Medical. Transfer achieved in 9 months by a 20 person transfer team – all products revalidated during transfer process and an average 10% unit cost reduction achieved.